If you close your eyes and try to conjure up images of grace and movement, you might think of ballerinas, figure skaters, and ballroom dancers. I would never fit into any of those roles, and have too many clumsy moments that would easily disqualify me from being called graceful. Yet I have a part-time job in a boutique where 80% of its products are made of glass. My latest bone-head move involves the destruction of technology. So hug your Blackberry’s and iPhones close, there is a reason why I don’t own one. Indulge me as I share my most recent hippopotamas in a china shop tale. I had a long shift at the home decor boutique that I work in. It wasn’t a terrible day as far as serving the retail population normally goes. My brain was already racing with the 50 things I needed to do in the 3 hours I had left before sweet girl’s bedtime. As I was leaving work for the day, I had to retrace my steps back to the store no less than four times to retrieve forgotten possessions. I’m sure my co-workers thought I was nuts. On my final attempt to leave, I heard my phone ringing from the depths of my tote. I am on a pay-as-you-go plan, so no one who knows me actually CALLS unless it is important. I buy the unlimited text plan because it is so much cheaper. Anyway, the phone is ringing “Owner of a Lonely Heart” (insert tune), I sweep my hand around the bottom of the bag, and pull it out by the case strap. As I pull the case out of my bag, the phone flies out of the case, doing pretty little cartwheels through the air. I attempted to catch it in mid-air, but only succeeded in giving it more momentum. It hit the tile floor with a crack that broke the faceplate off, and the pieces lay directly in front of my left foot. As I attempted to pick up the carnage that was my phone, I had a crazy knee-jerk reaction and kicked it. This spasm sent it skidding about 2 meters away from me. It only stopped when it hit a metal tree pot. The sight of a black projectile zooming on the floor and the resulting PING – CRACK, scared a group of seniors that were mall walking. The entire series of events happened in seconds, but time seemed to stretch and yawn. I stood rooted in the spot I had first attempted to pick my phone up. The group of mall walkers stood near the metal tree pot, and the air seemed to echo the sound of phone death. One of them gingerly picked up the phone guts, battery, back plate, camera piece and walked over to me. She handed me the pieces, it took two hands for her to transfer and two hands for me to grasp, and said; “There, there, I’m sure it will still work.” I’m sure the look on my face was quite terrible. It was a mixture somewhere in between crying, embarrassment, and curiosity. You see, I still don’t know who was CALLING me. And since it was a pay-as-you-go phone, there is no contract and no replacement policy. I turn zombie mom, and shuffle out to the parking lot where my husband is waiting to pick me up. I got in the car holding the pieces and actually managed not to cry. 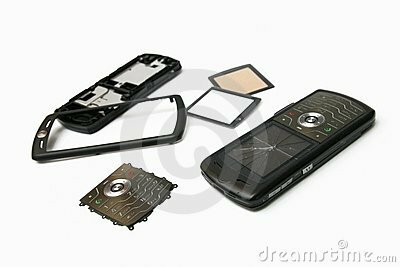 He took the pieces from my hands and began to put the phone back together. As he was working, I told him about the cartwheeling phone, and my knee-jerk reaction. By the time I was done venting, he had finished. After taking a picture, he sent a text to his phone, and declared it fixed. He said; “They make these things dummy proof and indestructible. You know, because of all the walking and texting people do now.” Gee, thanks (insert eye roll). I responded; “I wouldn’t have even tried to answer it but someone was CALLING me.” Hubby ignored my remark and began to whistle and drive. His phone began to buzz and I picked it up to see if it was my text coming through. It was my text so that was a relief. While I was there I flipped to the call/message history. I knew why he was so eager to help put my phone together. He had CALLED me, because I had taken so long to leave the mall. Posted in Blah Blah Blogs, Random Ramblings and tagged assemble, boutique, break, busy, calls, clumsy, co workers, cracked, drop, encourage, floor, glass, husband, kick, mall, mobile, mother, part time, phones, retail, rushed, store, walking, work. Bookmark the permalink.